At the law office of Richard D. Director in Whitehall, our attorneys are dedicated to helping victims in Pennsylvania. Richard is a workers' compensation law certified specialist in the state and has more than 40 years of experience handling workers' compensation, Social Security Disability and personal injury claims. Our law firm provides personalized service to every client. We truly care about helping our clients understand their rights and guiding them through the process of filing a claim or appealing a denied claim. Our lawyers understand the complex factors that impact our clients' claims. We are very familiar with medical terminology and how injuries and disabilities impact our clients' lives. 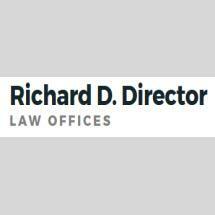 The law office of Richard D. Director can help clients every step of the way. We understand what our clients are going through and are devoted to helping victims through the difficult times in their lives.